Beautiful Andean landscapes; intriguing history, culture and traditions; friendly locals and their unique, handmade colorful costumes … All of this and much more you can certainly find in the region of Cusco – a paradise on earth – for lovers of nature, adventure and harmonious everyday life. Until now, I managed to see numerous places in Peru, many of them for couple of times. Each of them is unique, fascinating, worth seeing and exploring. However, some places charmed me so strongly that I cannot help but visiting them as often as I can! All of them are located in the region of Cusco, which without any exaggeration is considered the pearl of Peru. What is it that attracts so many tourists to visit Peru? What makes the Peruvian experience unforgettable and why is it a dream for many around the world? Let me explain you! To make long story short, the secret of Peru lies in the special kind of magic surrounding the place. The magic of places, people, culture, tradition and unique Inca ruins, many of them constructed in the period of Inca Empire (Tawantinsuyu). The combination of those ingredients together with the Andes, the longest mountain range on Earth, makes it impossible to remain indifferent to the rich variety of attractions present in Peru. Furthermore, it is just impossible to ignore the most popular city of Peru, Cusco! Why? Because Cusco is a leader among all Peruvian cities. Read below what we think about this unique part of Peru and what you can find here! 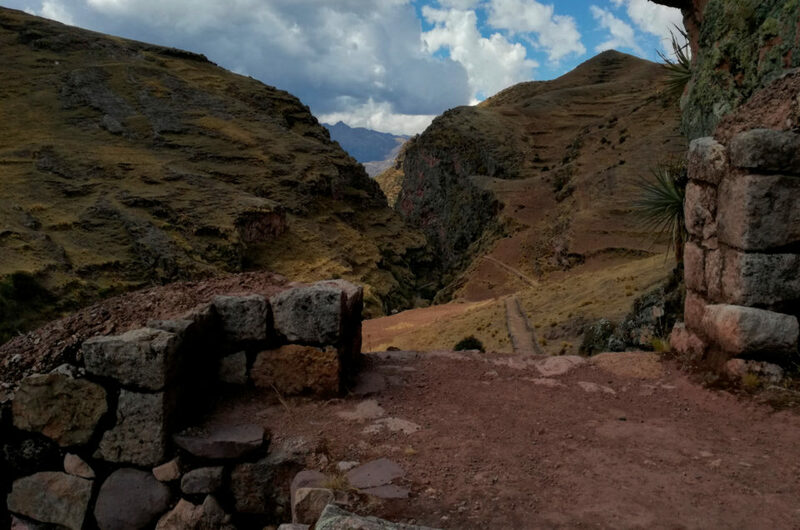 The former capital of the Inca Empire is situated at an altitude of around 3400 meters above sea level, in a beautiful valley, in the heart of the Peruvian Andes. One thing is sure here, while walking through the narrow streets of this city, you will have a unique opportunity to jump into the world of the Incas. Moreover, you will have an opportunity to admire the colorful shops, filled to the brim with traditional Andean handicrafts; inspiring pieces of the Inca architecture; numerous restaurants with delicious traditional cuisine and intriguing local markets where you can buy almost everything you can imagine. Being there, you will quickly realize that Cusco is a real metropolis offering the overwhelming variety of possibilities. This is indeed true, Cusco is a vibrant city, which name in the Quechua language means “navel of the world”. Almost nothing has changed here since the time of the Inca Empire. Even though today Cusco is no longer the capital of Peru, as it used to be in the old days, it still remains the heart of the country. It is worth mentioning, that according to the Peruvian Constitution from 1993, Cusco aquired the name of the historic capital of the country. In addition, together with 12 twelve other places in Peru, Cusco has been granted an UNESCO World Heritage Site status. In the face of all this, Cusco definitely deserves the title of a leader among Peruvian cities. The Incas left behind true architectural masterpieces, which at the time of their creation, as well as in subsequent periods were the subject of jealousy of the whole world. The ruins are broadly present throughout all Peru, but those located in the Cusco region are the ones particularly appreciated by visitors. There is nothing extraordinary about that, as Cusco and the area around the city had the particularly important meaning for Incas. Undoubtedly, each of the architecture sites is worth seeing, but let me first list my favourite ones. The most beloved, and most often visited by myself are Choquequirao ruins, Machu Picchu, Pisac and Ollantaytambo ruins. They not only are impressive, but also are located in exceptionally beautiful sceneries. 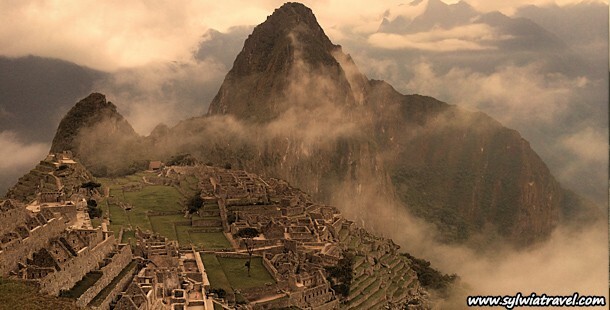 Undoubtedly, the most famous among all the Tawantinsuyu ruins are the ruins of Machu Picchu. This hidden city is located on the beautiful hill, right at the foot of the mountain Huayna Picchu, at the interface between the Andes and the jungle, at altitude of about 2430 m above sea level. It’s definitely one of the most important places in Peru. Many people claim that it is also one of the most famous archaeological sites in the world. It is however not my thing to judge about the beauty of the place. It is always a question of taste and preferences, and those tend to be very different in the case of each of us. One thing is certain, the place, in many ways, is unique and definitely worth visiting. Just as the city of Cusco, Machu Picchu was granted the UNESCO World Heritage Status in 1983. “Lost City of the Incas”, the other name of Machu Picchu, is beautifully incorporated into the nature. You can perceive this place only as a ruin, or in a completely different, deeper way. By saying that, I mean considering Machu Picchu as a unique architectural masterpiece that is harmoniously coexisting with the nature. According to the UNESCO criteria, it is claimed to be a masterpiece of art, urbanism, architecture and engineering of the Inca civilization, created as a result of gigantic human effort, uniquely integrated with the environment and an extension of nature. I cannot add up more to this description. You should simply come and check yourselft the uniqueness of this place. Peruvian Andes are something more than gorgeous place. I could write about them endlessly, tell neverending stories about the life in the mountains and its inhabitants. The Andes are powerful, noble and limitless. You can feel the spirit of the mountains just upon the arrival in Cusco and admire the surrounding monumental hills. Over time, you get used to the place and after the initial feeling of euphoria and delight, you begin to love the Peru with all your heart. Just as I did when first arrived to Cusco. With a clear, cloudless sky, Cusco offers a stunning view of the Ausangate Peak (6372 m above sea level), located about 100 km from the city. Ausangate is the highest mountain in this region and the fifth largest in the whole country. The trekking trips around the mountain belong, in my opinion, to the most beautiful ones in this part of the country. There are plenty of places around Cusco that offer similar experience as Ausangate. Actually, I cannot even list all of them, because simply wherever you move you can enjoy the overwhelming beauty of the Peruvian landscapes and heritage. Many of the attractions might be reached with the help of bicycles or even horses, which make the adventure even more unforgettable. Snow-capped peaks, mountain passes at the height of 5,000 m above sea level, numerous mountain lakes, tiny villages, herds of lamas and alpacas. This is only the foretaste of what you can experience during your journey in the Andes. I have some really good news for bicycle lovers! The Cusco region is a real paradise for cyclists who can enjoy limitless possibilites here and get to know the country from the very different perspective. There is an offer for the beginners as well as for the most advanced bicycle fans. My favorite, one-day cycling route includes visiting the most important archeological sites and leads from Chinchero, through Moray to Salineras de Maras. For the real thrill-seekers, willing to increase their daily dose of adrenaline, we prepared some other special attractions. Among them, climbing one of the snow-capped five-thousanders. The height is truly impressive! For all those who want to relax from alpine adventures, we offer the completely different experience, just a few dozen of kilometers outside of Cusco. This is where the high jungle begins, providing its vistors with diverse nature and breathtaking views. One of the richest in the country flora and fauna, variety of exotic fruits or local coffee plantations are just couple of examples of what the unpredictable Peruvian jungle has to offer. In the jungle, you can also walk along the 30 000km system of the Andean roads, called Qhapaq Ñan. The system encompasses other countries of South America, namely Ecuador, Chile, Argentina, Bolivia and Colombia. The above-mentioned countries had been part of Tawantinsuyu at the time of the greatest splendor of the Inca Empire. Anyone can find something special in Peru. Peruvian handicrafts, especially weaving make huge impression on each visitor of the local Peruvian communities. It is just ubelievable how well the colourful Peruvian textiles are integrated into the alpine landscapes of the region. All thanks to the Andean communities, which sustain centuries-old traditions, weave beautiful clothes, bedspreads and ornaments. The local artistis use natural materials such as sheep wool or extremely highly valued wool of alpaca, lama or vicugna. The beautiful colors are extracted only thanks to the natural ingredients. From my observation, it seems that the local communities are the experts of listening to the nature and making most out of it for their daily use. In order to see the miracles of Peruvian textile gamrnets, you should simply visit the small village Chinchero, or take trip to Pisac or the Patacancha Valley. In each of those places, expect the perils of Peruvian handicrafts. At the same time, you can let yourself observe the daily life of local communities, among them Rumira Sondormayo, Chaullacocha, Chahuaytire or Amaru. I am always happy to visit the regions inhabited by the representants of those cultures. Among the local communities, you can find the features absent at regular touristic places. The difference is that the people here behave naturally, there is no place for being artificial unlike in a most touristy spots. The folks have no access to the newest technologies and that, in my opinion, makes them more happy, thoughtful and simply more friendly towards others. Local people live their life at their own pace, without any rush, replicating the way of life of their ancestors. I really hope it will not change in the future! Thanks to the places like this, we have an opportunity to slow down, reflect on our own lifes and break free from the constant feeling of a rush that accompanies our daily lives. Peru is also the ultimate paradise for anyone enjoying the street food. Peruvians are crazy about eating outside of their houses, namely in restaurants, bars or just on the streets. Thanks to the custom of eating outside, many local entrepreneurs are able to sustain their small businesses. Pedestrians in Peru enjoy the huge vairety of streetfood and local snacks. It is tempting to try all of the offered treats and it is hardly possible to leave the Peruvian street with an empty stomach. However, please do not forget that not all of the offered beverages and snacks are the healthy ones. It is common that they contain much more preservatives or artificial ingredients than the ones we find in Europe! Whoever seeks for the most local and healthy products, do not refrain from buying warm glass of quinoa, kivicha or matzo. Taking into consideration that the mornings in Cusco are quite fresh and sometimes wintry, the warm beverage will defnietly do its job. What is more, it costs only one Peruvian sol. Be aware, that after drinking your glass of the chosen beverage you are going to be served an additional one – the seconds in Peru is called “yapa”. Mornings and evenings in Cusco are exceptionally cold. In order to warm yourself up, I higly recommend looking for a street trolley equipped with magical and colourful bottles. That is where you can find the typical Peruvian tea called Emoliente. Not only is it ridiculously cheap but also very healthy! The beverage is so special, mostly because it is prepared based on several different herbs. The glass of this drink costs no more than 1 sol and certainly includes free “yapa”. There is a wide variety of possibilities on how to spend your time in the beautiful city of Cusco and the surrounding region. Depends on your preferences, you can enjoy more intensive, sporty activities or the ones connected more to getting to know the culture and learning about the local heritage. Whatever activities you choose, I am sure you will not be disappointed. The overwhelming variety of activities does not allow even the most demanding ones to remain dissatisfied. Prepare well before your travel and make the most out of your stay in the Cusco region!